F/C Mouphtaou Yarou, 6-10/250, Fr. F Antonio Pena, 6-8/235, Jr.
G Corey Fisher, 6-1/185, Jr.
G Reggie Redding, 6-5/215, Sr.
G Scottie Reynolds, 6-2/195, Sr.
F Taylor King, 6-6/230, Soph. G Dominic Cheek, 6-6/185, Fr. G Corey Stokes, 6-5/195, Jr.
G Maalik Wayns, 6-1/185, Fr. 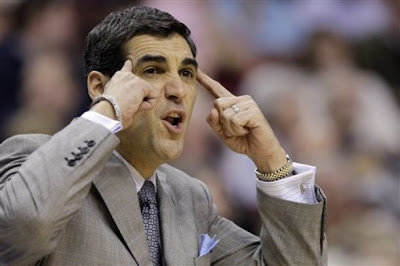 Villanova March Madness 2010 profiles: Villanova has Final Four experience from last year but after spending most of the year in the top 5 they have struggled down the stretch. Senior guard Scottie Reynolds is an All American that leads a terrific backcourt the problem for the Wildcats is that the frontcourt isn't nearly as good. It will be very interesting to see if the experience on the team can overcome the lack of a solid front court that is normally required for a deep run.